David Polfeldt has a Masters Degree in Fine Arts. He started his career as a writer and illustrator of obscure and hopelessly un-commercial comic books. After a few years as a poor artist, David’s childhood interest in designing and making board games with his older brother proved to be an excellent entry point into the games industry. 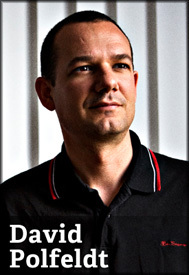 From humble beginnings with web-based games and multimedia projects, David eventually founded a small studio which he operated as a Managing Director until he was recruited by Massive Entertainments founder who needed a guy to “fix everything”. Since joining Massive in 2005, David has been deeply involved in all the projects the studio has released: World In Conflict, Assassin's Creed Revelations, Far Cry 3 and the newly announced The Division. At his upcoming D.I.C.E. Europe talk David will be speaking on “Swedish Dev Culture.” After the enormously successful announcement of Tom Clancy's The Division at E3 this year, David got asked by several journalists why there are so many good Swedish game studios. He decided to explore if there is any truth behind the statement, and if Swedish developers have anything in common. I just finished Metro: Last Light and I spent a bit of time with Ni No Kuni. But for the major part of summer I went back to playing Diablo III. It’s interesting to see how they have been tweaking the game with all the patches, and how they have addressed some of the feedback. I always play lots of games, but at the moment – to be honest - I am a bit frustrated because I don’t have a new game that I can obsess about. I still love getting immersed and fully lost in a game universe: to have that constant urge for the next play-session. I am always happy when there is a game that captures my interest like that. 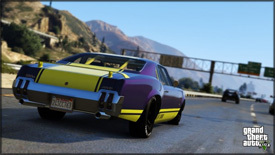 GTA5! I am sooo looking forward to it! And Ubisoft has a strong fall coming up, with Assassin's, Splinter and Watchdogs. But besides that, well, we are in a slow period now aren’t we? So what I am really looking forward to is the entire next generation of consoles with all the major titles that will follow. I don’t think I have ever been as excited by a console generation as this next one! Destiny looks awesome, The Witcher too. In fact, practically everything next-gen is exciting me at the moment. I am convinced that we will see a new golden era of games. A little bit further away from the mainstream, I am actually looking forward to Sniper Elite III. I like slow and punishing games like that - games where a gain of 7 meters in two hours feels like a massive achievement. But if there is one game I would ultimately die to get my hands on it’s Uedas The Last Guardian. I hope it is still in development somewhere, but I have no insight into the development situation. Fingers crossed, though. There has been plenty of games in my life that opened my eyes or made me want to stand up and applaud the team behind it, niche or not. Like the first “Alien vs. Predator”, the old legendary Marathon games by Bungie, WoW, Journey, Rainbow Six Vegas, Max Payne, Dead Space 1, Skyrim, Minecraft, and many, many others. But the one title that totally floored me and from which I still haven’t recovered fully is still a bit niche. I am thinking about ICO (and it’s “sequel” SHADOW OF THE COLOSSUS). 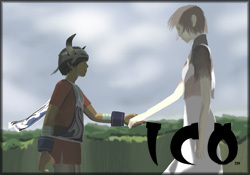 I absolutely adore everything about ICO: The gameplay, the setting, the art style, the narrative techniques, the symbolism, the absence of unnecessary violence, and I particularly enjoy the fact that you have to physically “hold” Yordas hand throughout the entire game… Wow, yeah. It’s a masterpiece! It shows that video games have the potential to be so much more than instant gratification (although there’s nothing wrong with that sometimes). I mostly read biographies, I consume them like a sugar-addict in a candy-store – I even read about people I don’t know anything about or have any previous relationship to. I find them extremely interesting and educational. Biographies are mind-opening and make me respect the fact that everything isn’t necessarily as black and white as it may seem, sometimes. They add perspective, which is something I really like. I remember stumbling upon the phrase meritocracy in Hackers by Steven Levy and it had a profound impact on me as a Manager. The phrase (and what it means) unlocked something in my head. It made it possible for me to crystallize ideas I was unconsciously developing as a leader. Meritocracy is by far the best business plan you can have, in my mind, especially if you are leading high-performing creative people. (The rest of the book is good too, but it was the single word “meritocracy” that opened up a whole train of thought in my head. That train is still in motion, although it was quite a few years since I read the book). Beyond biographies, Iain M Banks’ science fiction books have meant a lot to me. The sheer richness and level of imagination is incredibly inspiring. 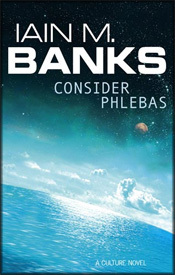 I re-read them now and again, and particularly recommend Consider Phlebas. It’s such a loss that Banks is terminally ill.The novel Light by John Harrison is such beautiful Sci-Fi too; it’s almost like reading poetry.Finally, in our business, it’s a great idea to always have a copy of Everything Bad is Good for You by Steven Johnson lying around. It contains interesting (and positive) scientific observations about “junk culture” and why people are attracted to it. Coming from Art School, it is inevitable that my personal taste is a bit arty, I guess. 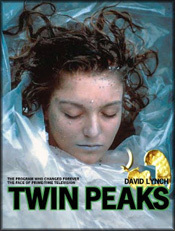 The best thing I have ever seen on TV is still David Lynch’s series Twin Peaks. There is so much to learn from how they structured the first season, it’s an enormously well crafted piece of work. More recently I have been very impressed by BBCs new series Sherlock. It’s one of the best revitalizations of a brand ever! Such a perfect mix of respect, loyalty and a complete update of a character that I thought had lost its relevance. I am looking forward to the next season a lot! When I was young, Andrei Tarkovskys movies influenced me a lot. Oh, I wish you had never asked that! I have such nerdy music-taste… (It’s even so nerdy I can sometimes make it pass as extremely hip). But OK then, here goes: I listen to prog rock, especially stuff from the 70s like Van Der Graaf Generator and Yes. There are some new prog-inspired bands that are extremely original, for instance The Mars Volta who are truly amazing, and then of course there’s the whole prog metal scene with bands like Opeth and Katatonia. Most of it is seen as unlistenable and bizarre by my friends (and wife! ), but I simply love the stuff. Like most people I am a full-on IPhone addict and I use it for a million things. Apart from the obvious stuff (Mail, News, Music, Photos, Reading etc.) I play the game Kingdom Rush all the time, and still have fun with Plants vs. Zombies. I think Badland and Year Walk were pretty cool too. I read somewhere that an iPhone owner reaches for his/her phone once every 5 minutes, which is more often than a heroine addict thinks about heroine… Scary, but probably true in my case. I am consciously trying to cut down, actually. Nothing original at all! I have all the major consoles and handhelds, old and new. My kids play lots too, so my choices at home are normally directed by whatever machine is not occupied by them. I am totally in love with my IPad mini, not least because it fits into the pocket of my coat, which makes it truly portable. 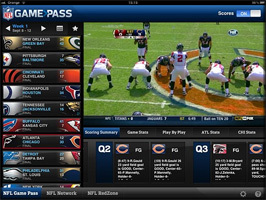 Beyond the many predictable uses, the IPad also allows me to stay in touch with American Football thanks to the absolutely excellent NFL Game Pass app. American Football has never been televised in Sweden on a major channel, but now I can follow it as much as I like, on my own terms. I wish Formula One and the Italian football league would copy this app!